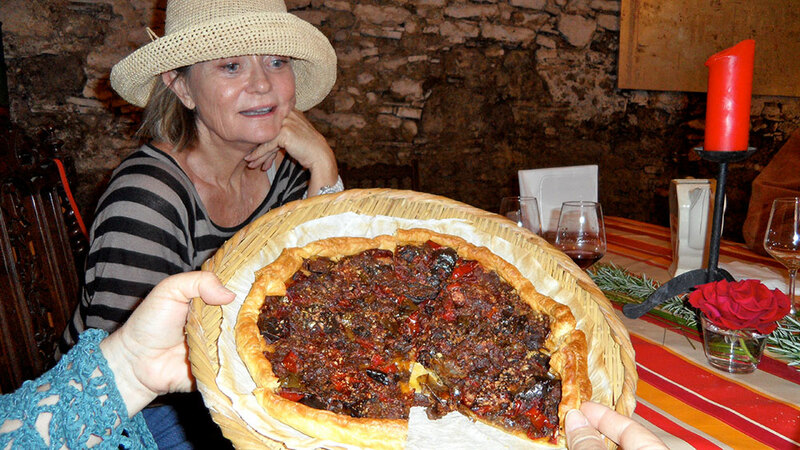 This tart is oh, so French! 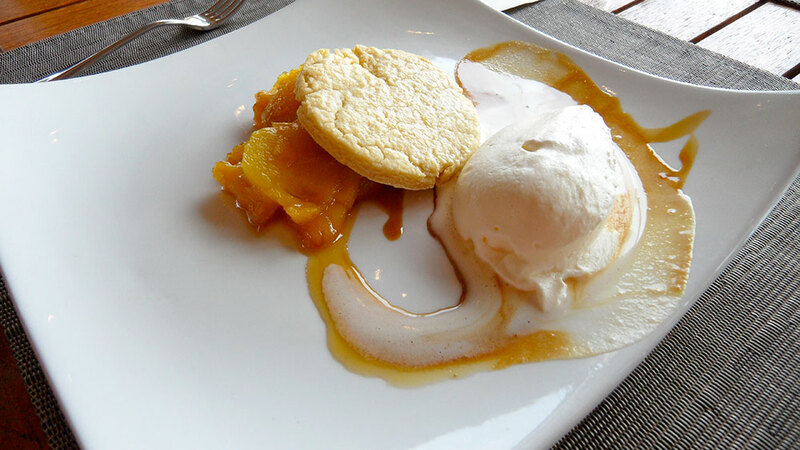 As a pastry chef, fruit desserts were my specialty as well as my favorite pastries to create. If fruit was in season, it showed up in abundance in my pastry case from Strawberry Napoleons to a Blueberry Bourbon Cream Cake, a tall tower of thin cakes spread and layered with a light bourbon cream and fresh blueberries. It was delicious and decadent! If this blueberry cake recipe interests you, let me know and I will post it. 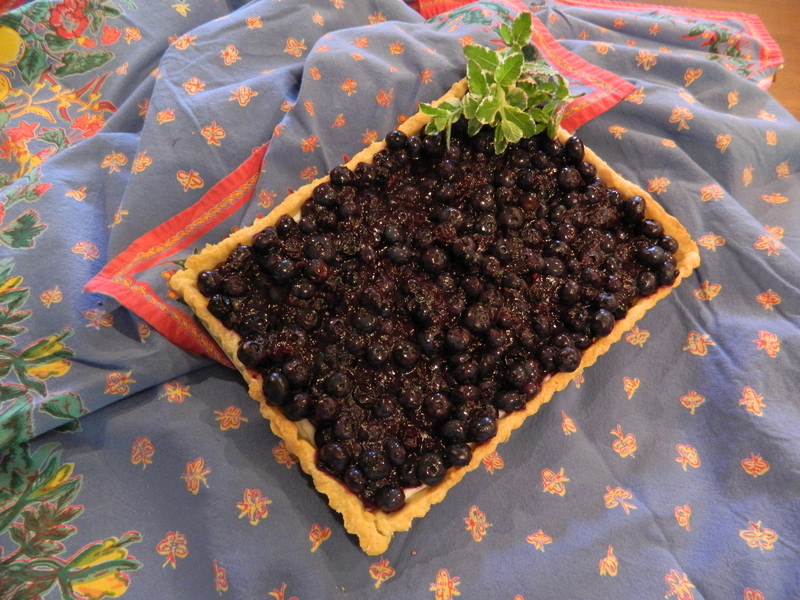 In researching blueberries in France, I came upon the region of Auvergne, just north of where I stayed in Languedoc, where blueberries reign and a famous Tarte au Myrtilles originated. I made the European version but was a bit disappointed with the results so chose to modify a Cooking Channel recipe with crème fraîche to give it a French flair. 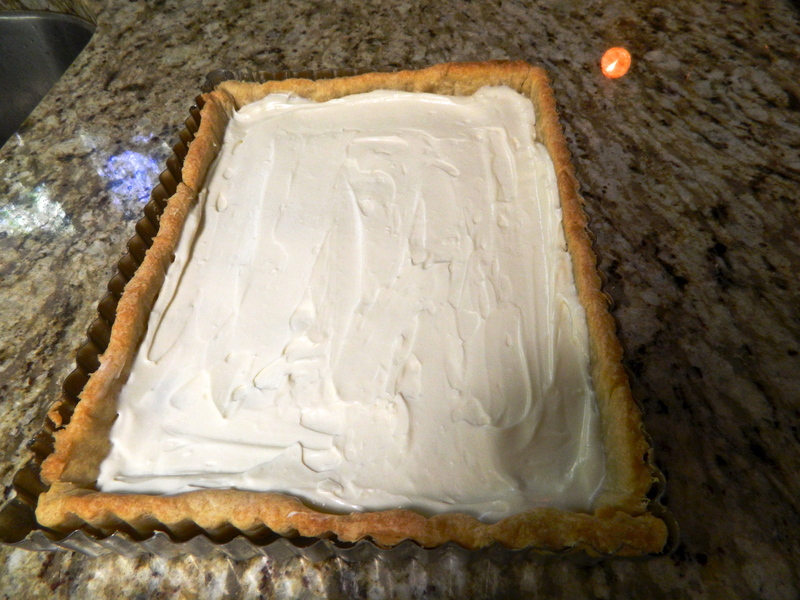 Jacques Pepin’s recipe for Pate Sucre or a sugar cookie crust is by far my favorite. Mis on place. Ready to get started. 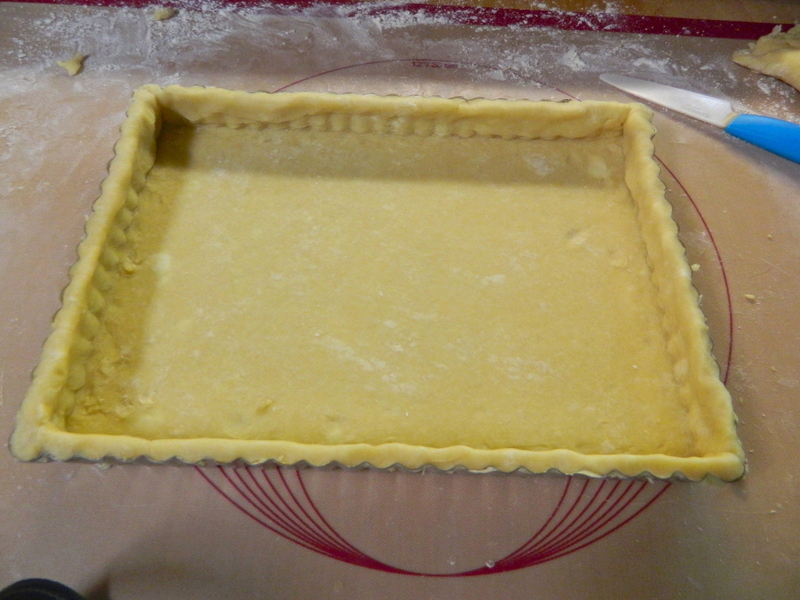 The pillow top filling of cream cheese, crème fraîche and sugar. 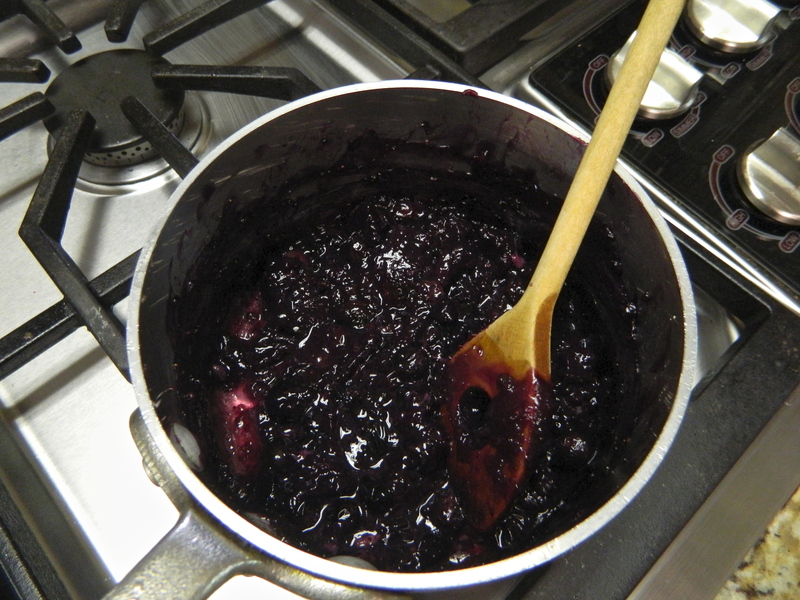 Gently cook the berries to retain their gorgeous shape. 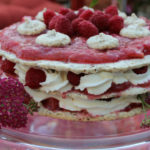 Mom pours the luscious berries over the creamy filling. Decked out and ready to eat. I like the rustic look of it. Each version of a fruit tart, like the Clafoutis, is a variation on a theme, each one with a different twist. 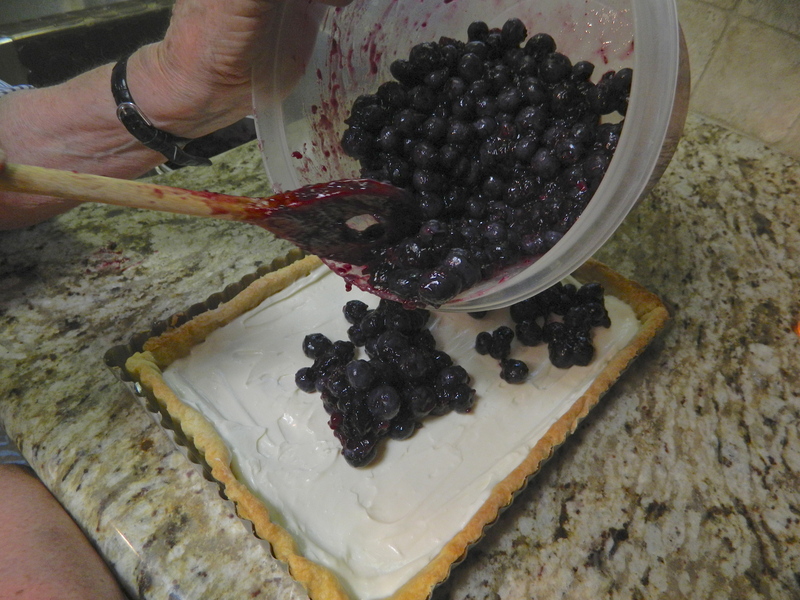 This weekend mom and I made multiple blueberry desserts and chose the best to share with you. My mom made divine blueberry sour cream ice cream. Blueberries and Cream Ice Cream. You will not be satisfied with just one scoop! A duet of flavors. 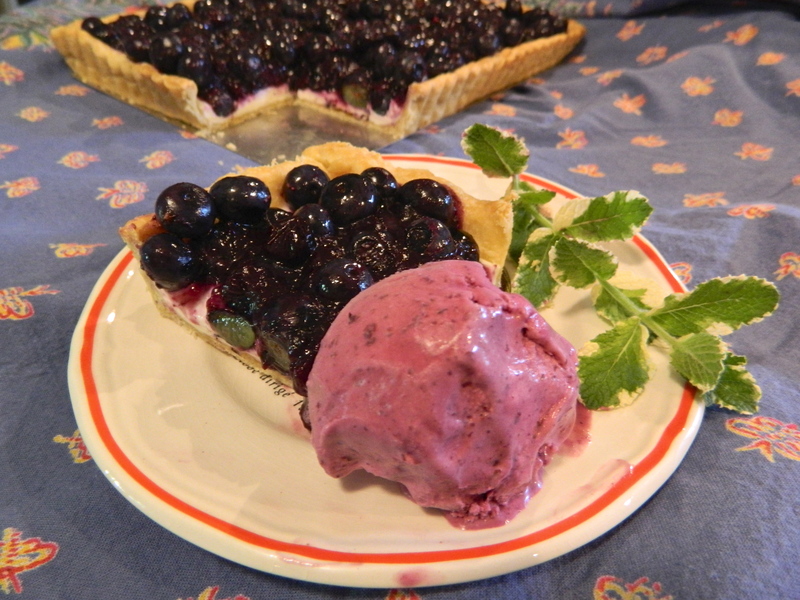 The picture shows how beautifully the ice cream pairs with the tart. Speaking of my mom, let me introduce her. She is a gourmet cook from the get-go, I’m sure inheriting the genes of her mother who also had a gift in the kitchen. 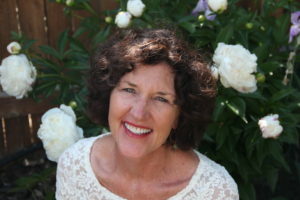 Mom – my collaborator, mentor and best friend! We’ve spent many days and nights cooking together canning mango chutney, pitting cherries or creating jams with the apricots from her tree. 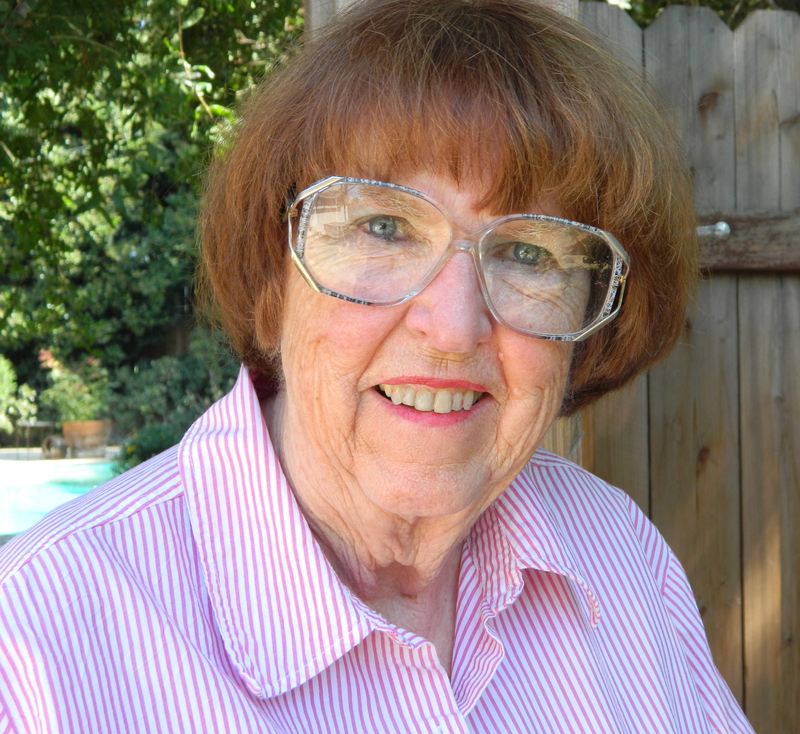 She is my inspiration. 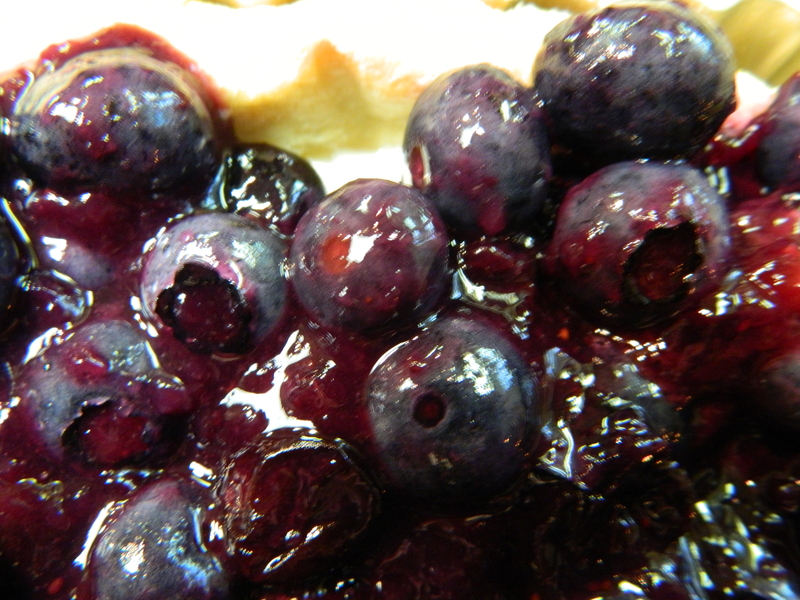 As we were steeped in blueberries and trying recipes, she began to tell me her blueberry story. I’d love to share it with you. 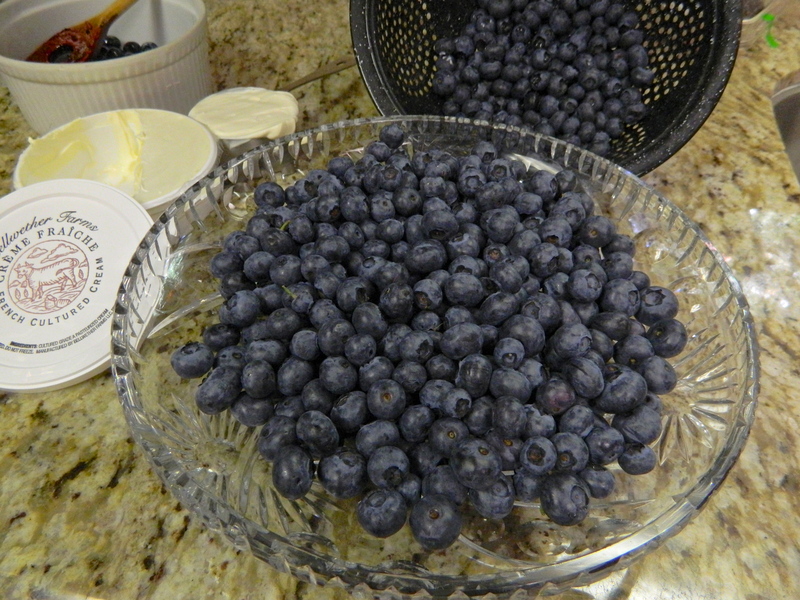 Blueberries…….How I wish I lived in the places where blueberries grow wild. My mom tells me stories of how she picked blueberries right in front of the cottage where her family vacationed in Michigan. If she and her sister filled a large pail of berries, Swedish pancakes were the reward. Her grandfather’s cousin, Uncle Axel, resided in another house on the property and was a master cook at those delectable pancakes smothered in blueberry “syrup”. Of course they ate as many as they picked but what was in the pail, appeared on cereal in the morning, in pie after dinner, and just “as is” in a bowl to eat as you passed by. My mom says that there has never been a blueberry that tasted as sweet and delicious as the wild ones that grew around Higgins Lake in Michigan. Anticipating the first bite of these juicy little gems. Since I don’t live in “blueberry country”, I must do with the large containers of berries from Oregon and other growing places. What to do with them? Take a page out of mom’s childhood. Make syrup, make pies, make crumbles, and kuchens. 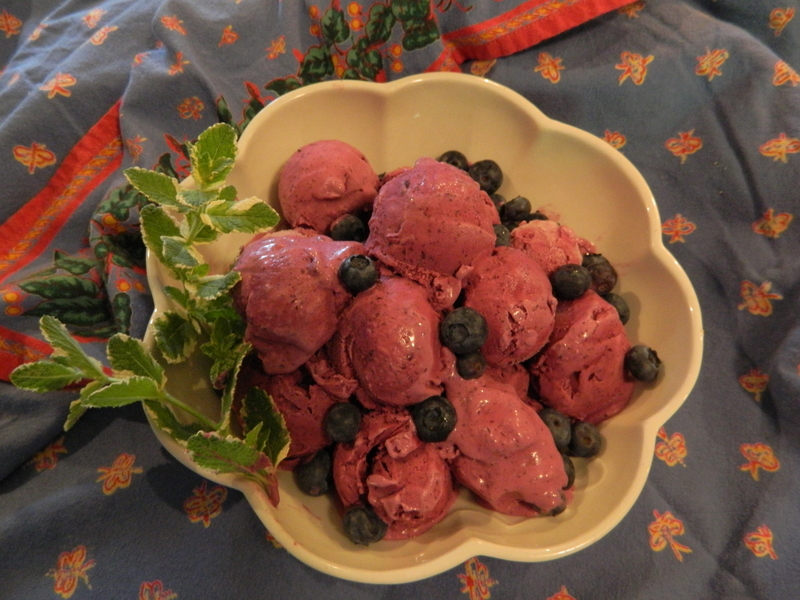 Add them to a bowl of mixed fruit for a salad, and if you are so inclined, crank up the ice cream maker and add the blueberries to a custard for a cool and refreshing dessert. 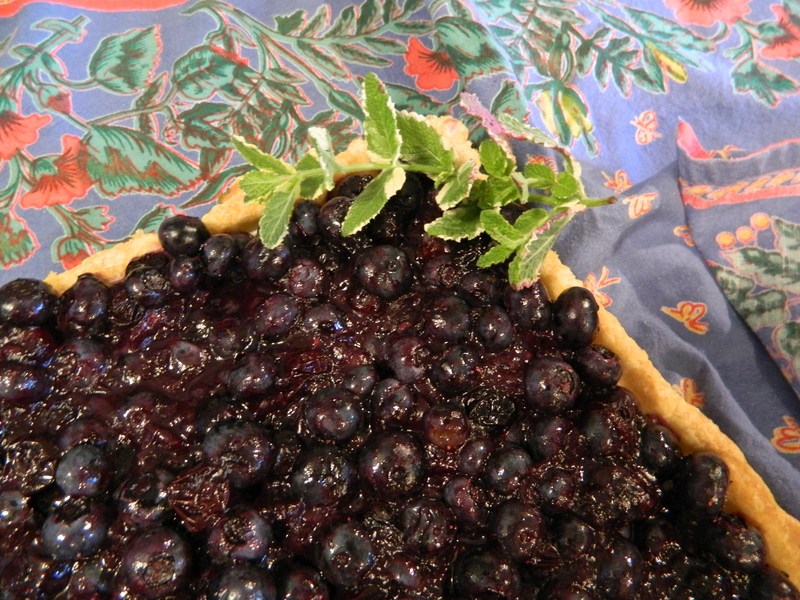 Blueberry Tart In improvising, I made Jacques Pepin’s Pate Sucre recipe and added more crème fraîche than sour cream. 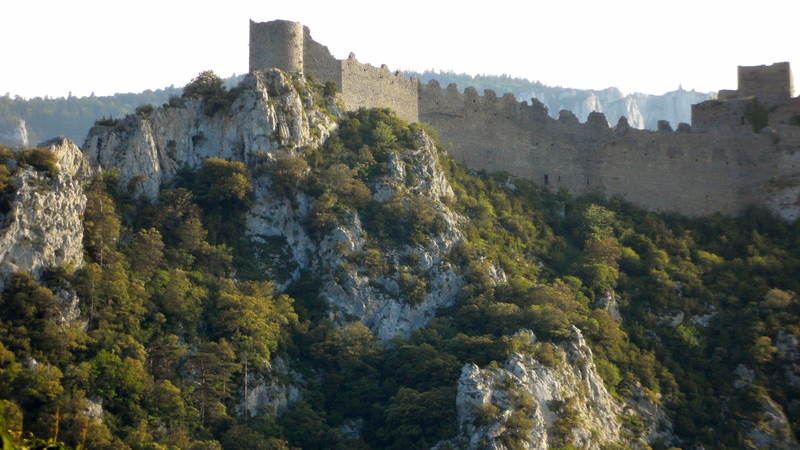 I first learned of Cathars from my friend Jacques, who wrote to me that his hiking group was planning a tour of these great monuments. Curious, I looked up what a Cathar was and where they were located. 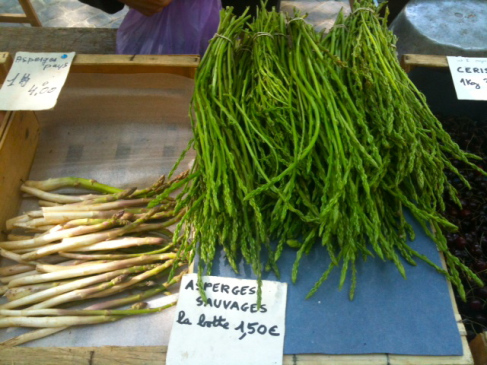 As it turns out, they are scattered throughout the Languedoc region very near to Carcassonne. Preferring not to acknowledge the Old Testament, they lived very basic lives, were vegetarians and pacifists. 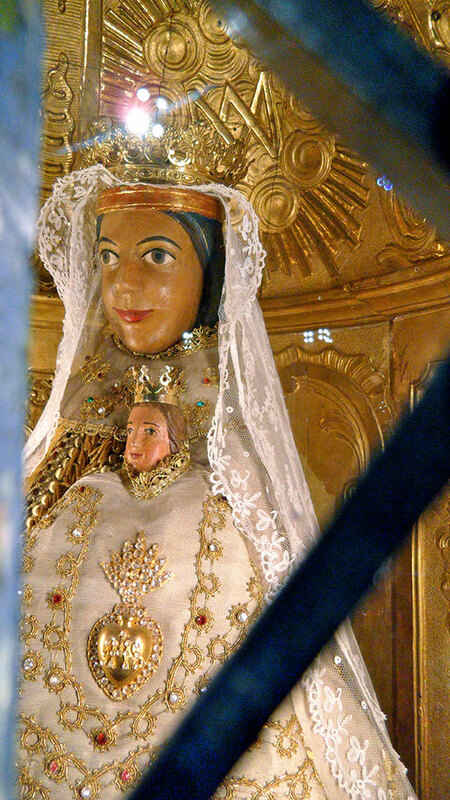 By the 12th century, the religion had quite a following mostly in southern France and northern Italy. At this time, the Pope, believing the Cathars were heretics, ordered a crusade against the Cathars in an attempt to wipe them out, which eventually occurred often in tortuous manners. What remains are magnificent outcroppings springing forth far away from villages on lonely country back roads. 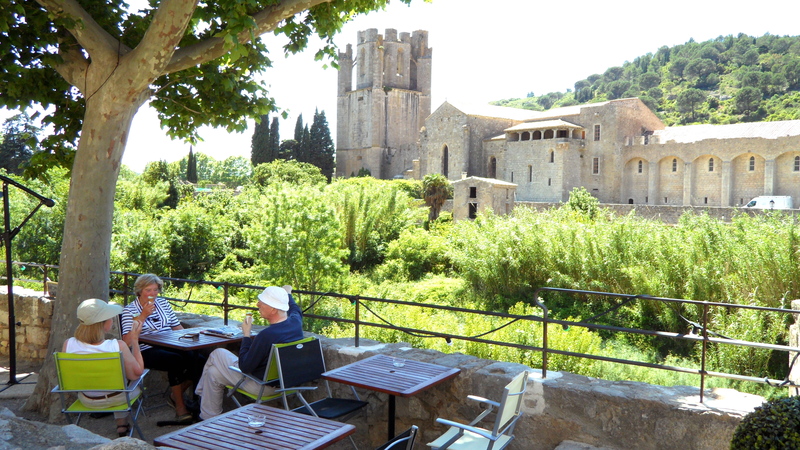 La Grasse is a small delightful village we stumbled across along the Cathar trail. 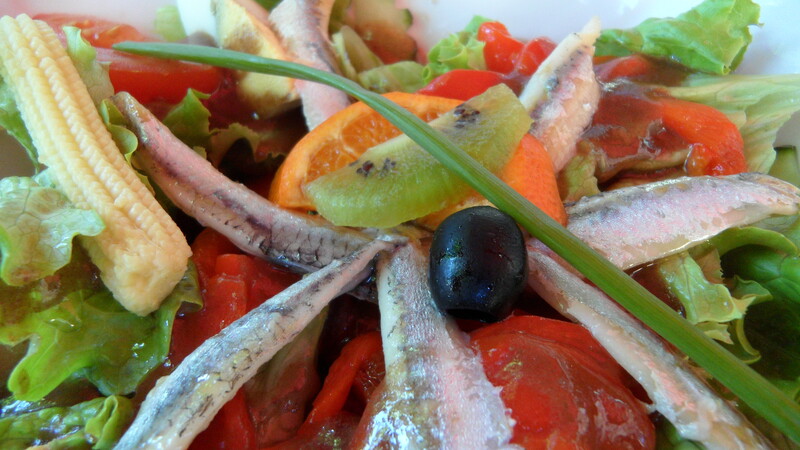 Here we enjoyed a fresh salad of local vegetables and anchovies, which do not taste anything like the canned version in the U.S.
Every salad is an art form and an expression of the local ingredients. 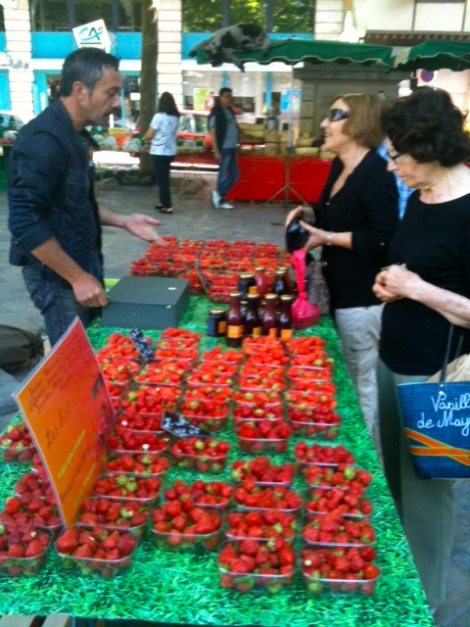 A very hot day in La Grasse. Sneaking a swim in the heat. 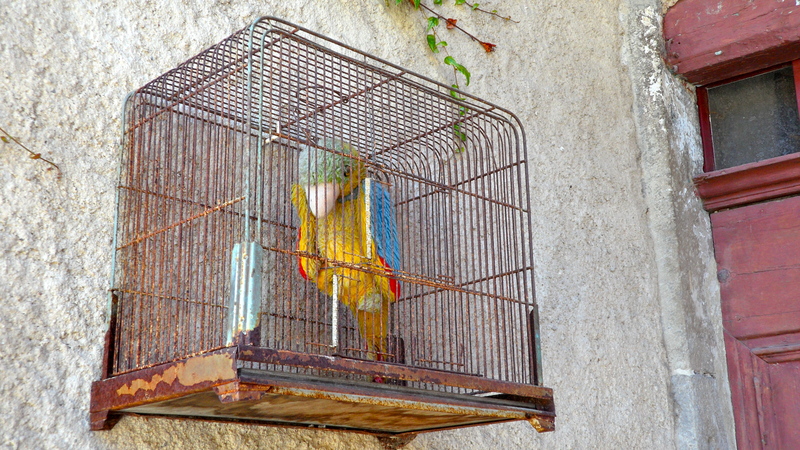 I hope this parrot made it. 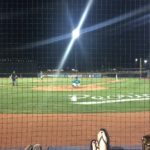 He looked a little over-heated! I loved the color in this tiny ville on our road trip. The light is high in the sky until 9:30p.m. when dusk finally sinks in so our Peugeot just kept taking us further and further into the green landscape. 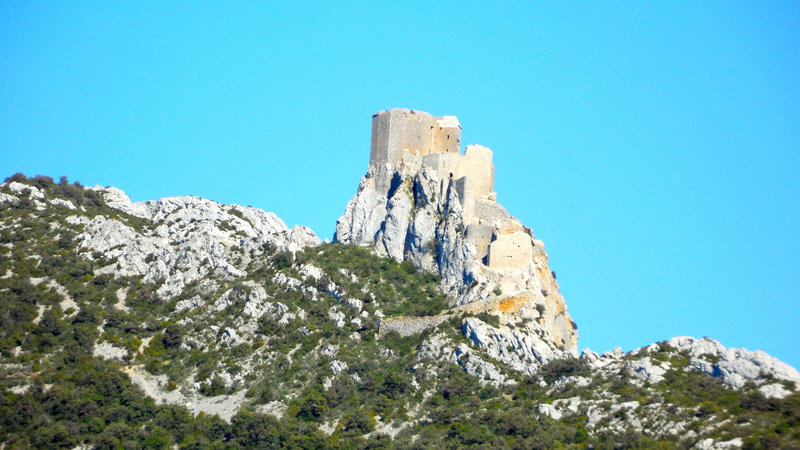 Some of the Cathars I photographed are unnamed because they were in the distance and unmarked. 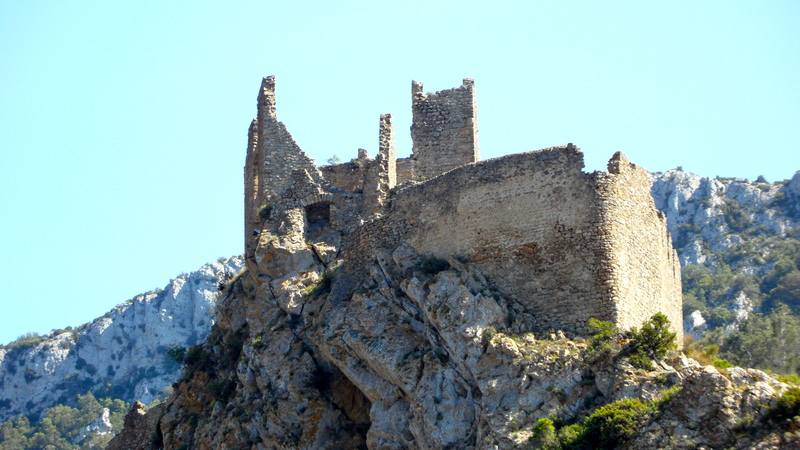 If you are fascinated by history like I am, viewing the Cathars is well worth the effort it takes to reach them in the countryside of southern France. 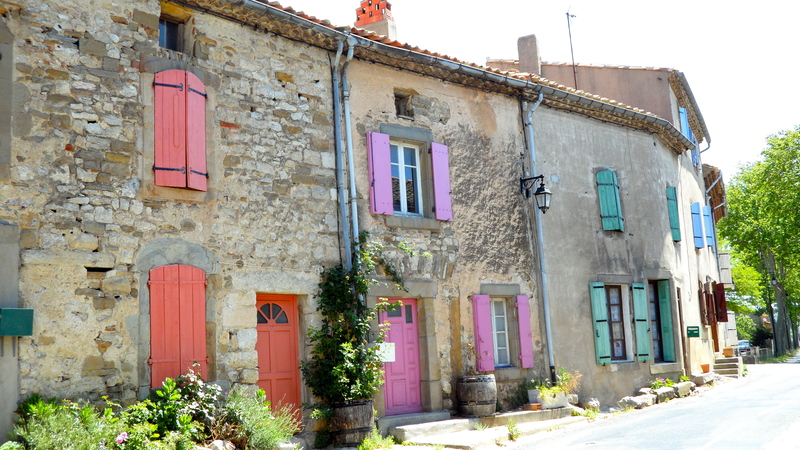 You will also be surprised by the quaint villages you happen chance upon. Bonjour! 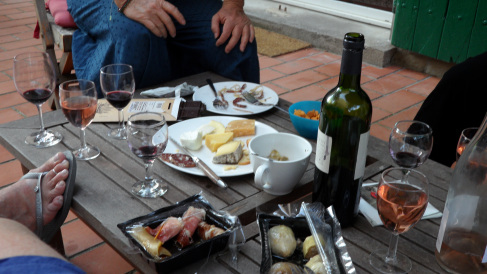 Did you know that the Languedoc is France’s largest grape producing region and it has been since Roman times? In fact, the vineyards flooded the landscape on just about every drive we took. 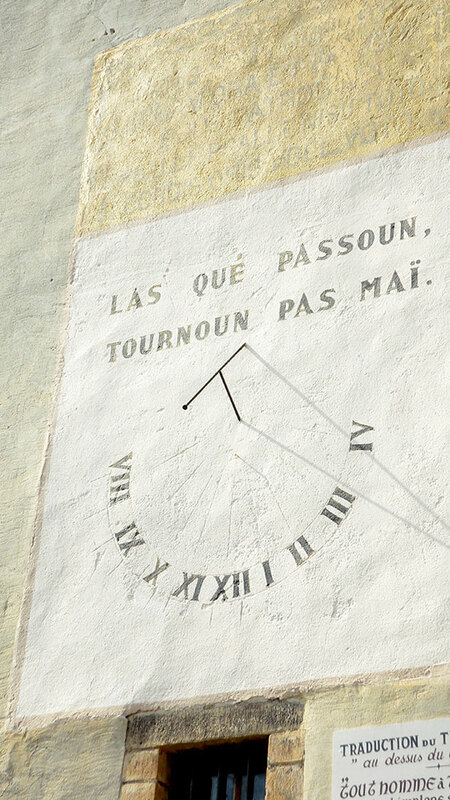 According to Angela Murrills, author of Hot Sun Cool Shadow in which she writes about the region, it is the world’s most colossal vineyard stretching from the Banyuls appellation close to the Spanish border to the tiny region just west of the Rhone where the Clairette grape – once the leading white grape of the region – is still grown. 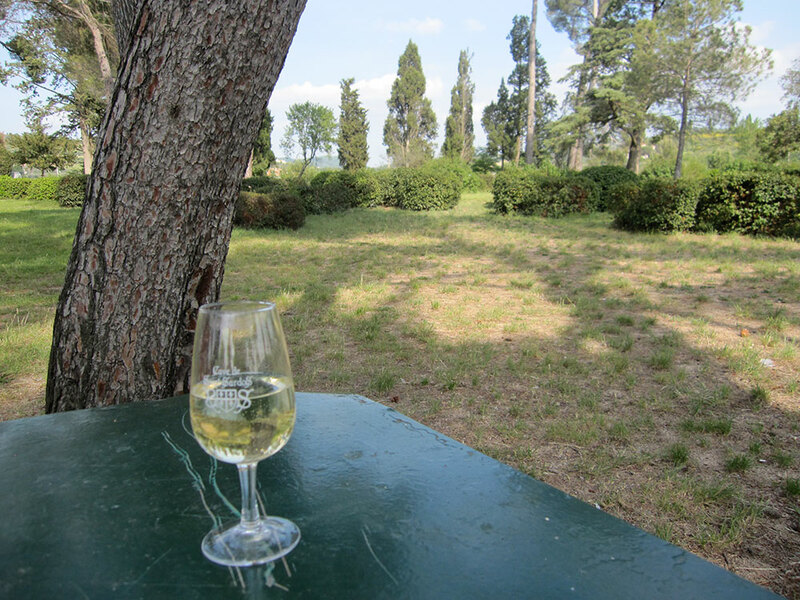 Vineyards here are dated back to the 6th century BC where the Greeks and Etruscans were their guardians. 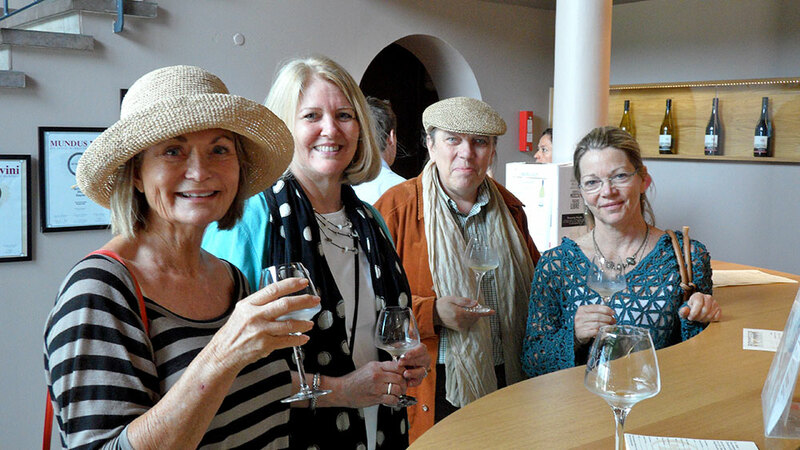 One of my traveling companions had researched wine tours and struck gold with the company we hired to introduce us to French wine. Vin & Company,(www.aerobus-hautevallee,com) out of Limoux, provided us with an expert guide and chauffeur, Jean Luc, who not only knew his wines but imparted some history of the region as well. Our first stop, Domaine Gayda. This wine is made to show off the flavors of the fruit and does not have a taste of oak. Fairly new and modern, it is modeled after a high end Napa winery compete with a top notch restaurant. 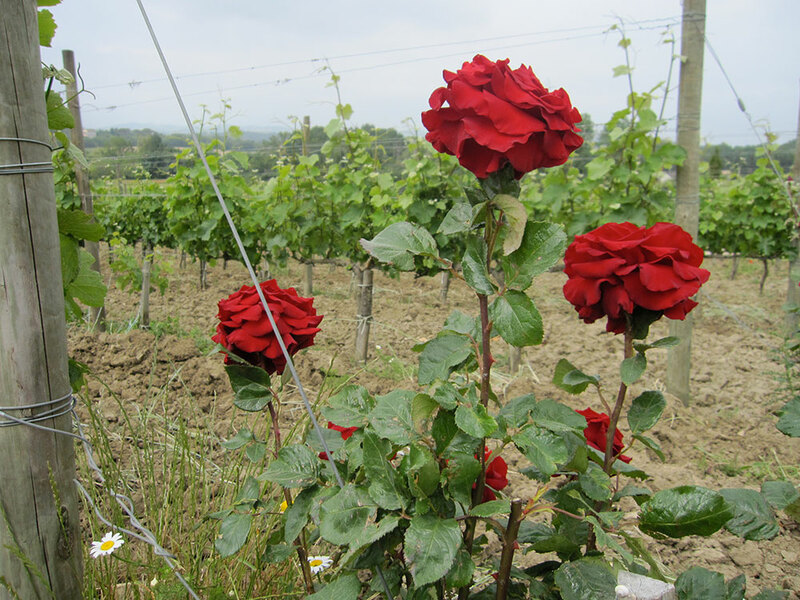 We learned here that roses are sensitive to diseases that can plague the grapes so it is traditional to plant them at the front of the grape rows. If a disease were to strike, the roses would be affected first, therefore alerting the growers of a potential disaster. 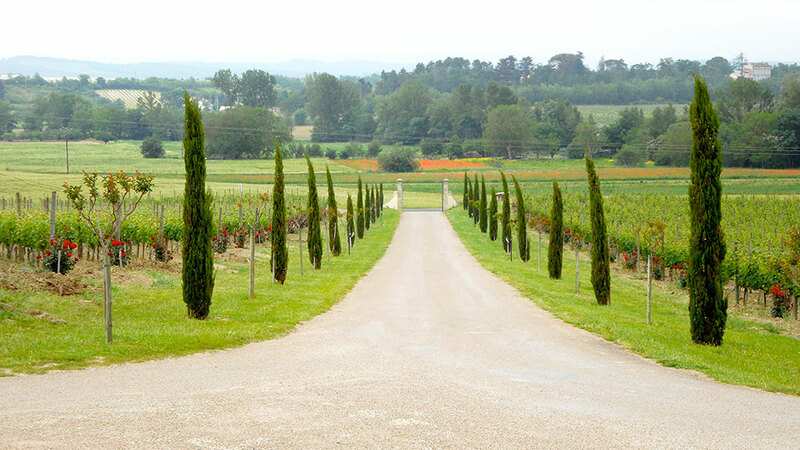 An extensive tasting gave me an appreciation for this region of France’s fine wines which, disappointingly, are very difficult to locate in the U.S. Of the three vineyards we visited, none of them import to us, not even Domaine Gayda, which produces 800,000 bottles a year. 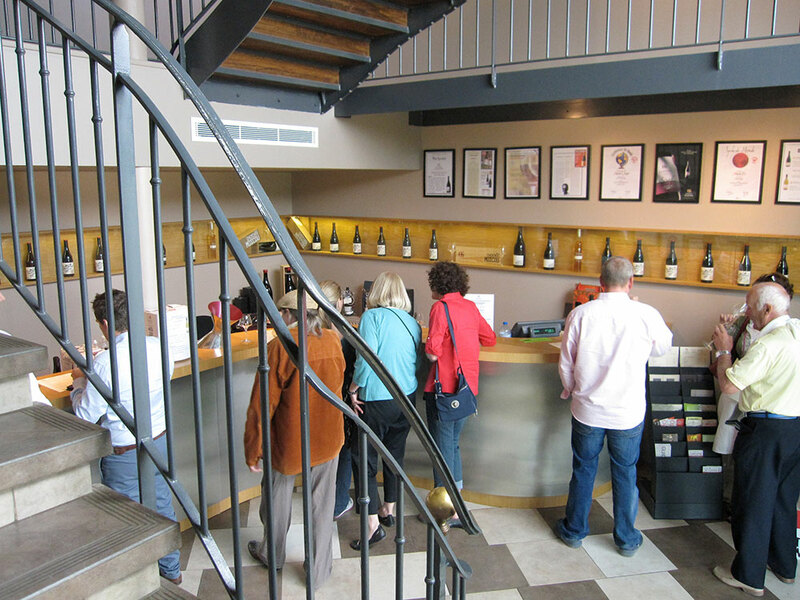 Gayda’s showcase wine tasting room. They spare no expense. We must have tasted eight wines! 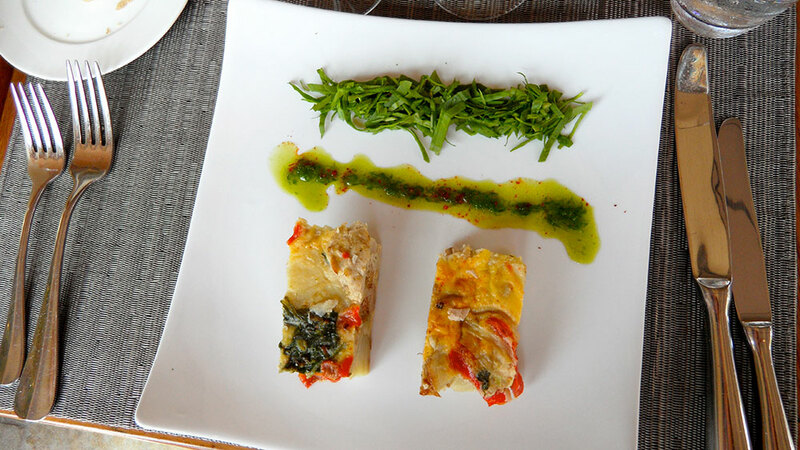 Our tour included lunch worthy of many stars in Gayda’s beautiful restaurant with views of the vineyards. 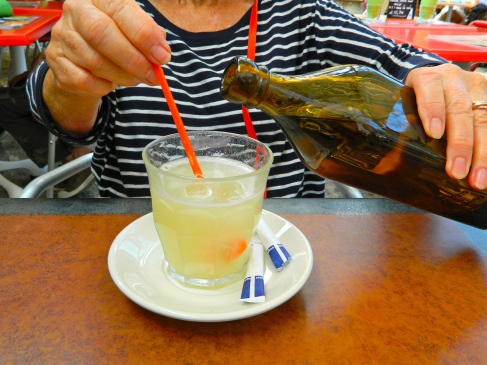 Sable a l’ananas (pineapple) et sirop de café – exquisite! Who would have thought of combining pineapple and coffee? Can’t you just taste all these fresh ingredients? My mouth waters just remembering the flavors! 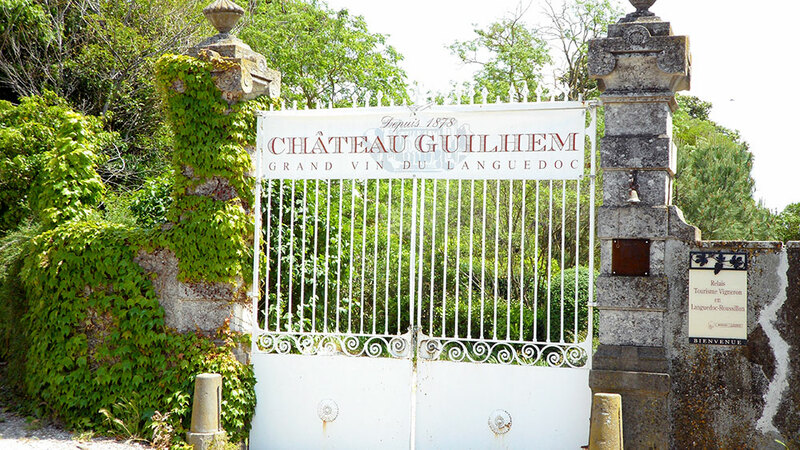 Chateau Guilhem was built in 1851 and has been a family winery for five generations. 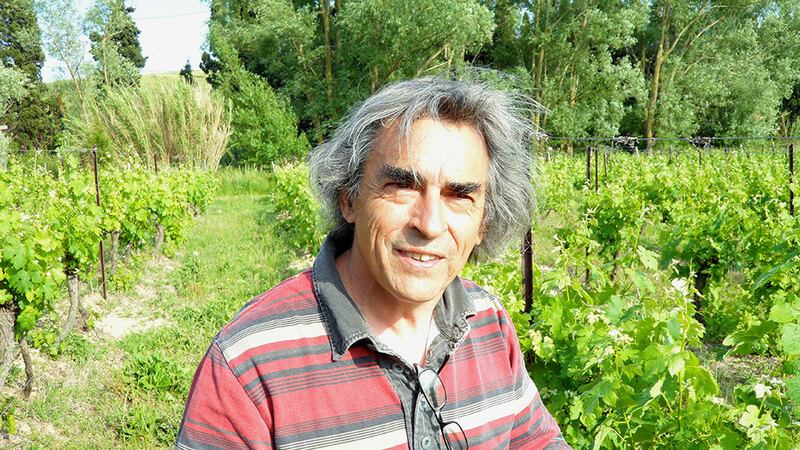 Bertrand Gourdou is the charming (and handsome) owner who manages the 400,000 acres. 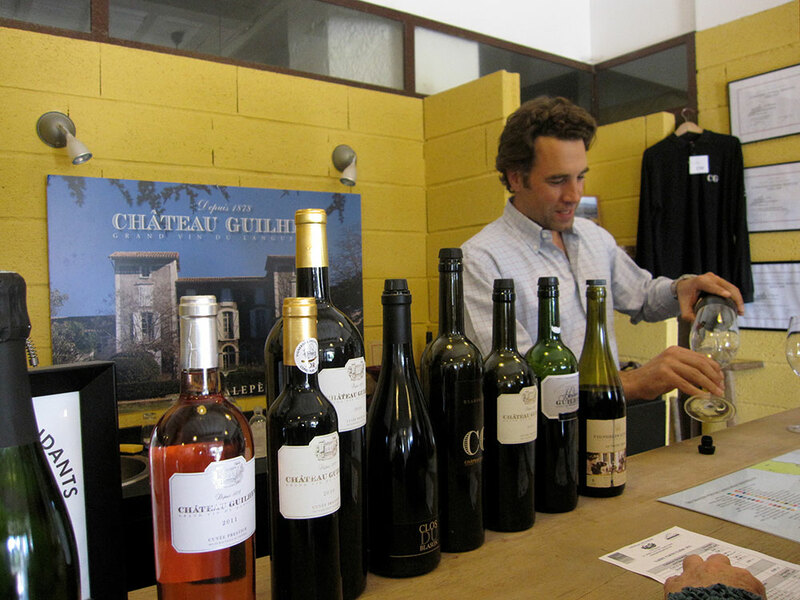 He is proud that his wine represents the style of the land and that his organic winery is one of the top 30 wineries in the Languedoc. What I found most interesting about this winery is that Bertrand’s great, great-grandfather used oak barrels to age the wine. His great-grandfather used concrete – isn’t that amazing? Grandfather used stainless and now he is back to using concrete. 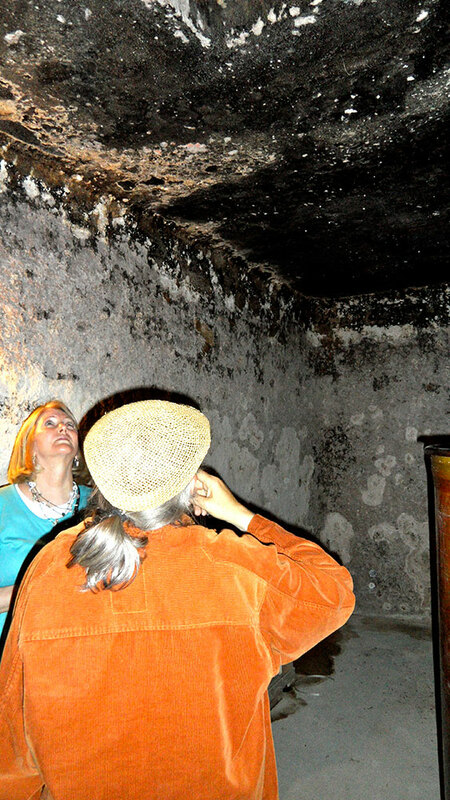 Jean Luc admiring the old concrete cellars. 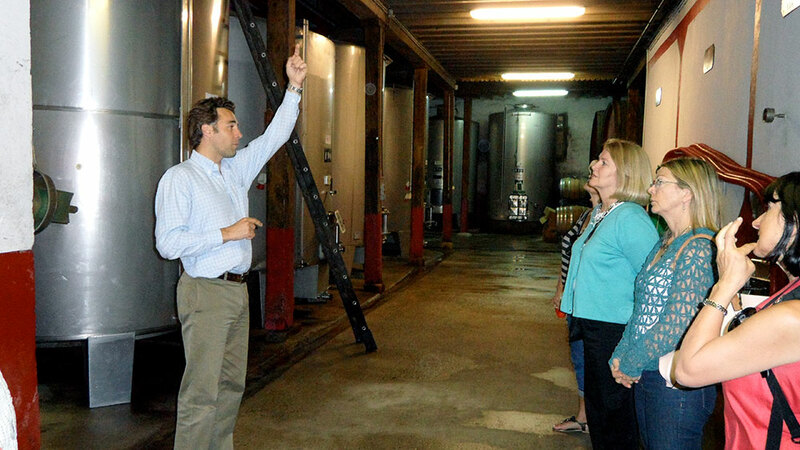 Don’t worry – they don’t make wine here now! 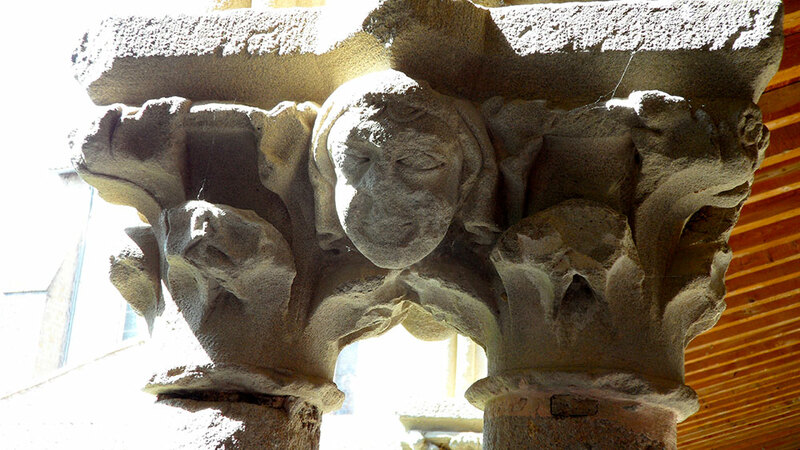 To take a break from the wine, we stopped in a beautiful abbey and church, Notre Dame de Marsaille for a taste of Roman and mid 16th century history. 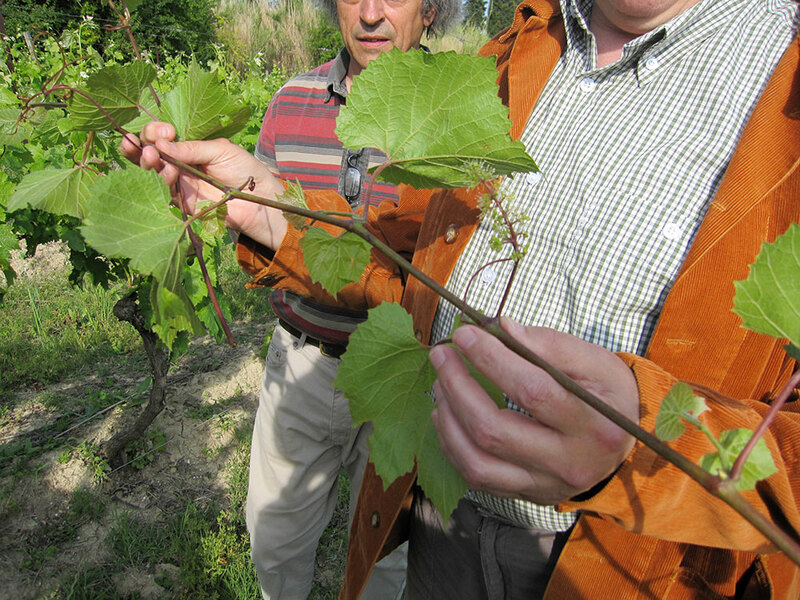 By 5:00 we thought we had seen and experienced so much of the vine but no, there was more. Our last stop at Villarzens enchanted us all and we fell in love with this petite 3 hectacre vineyard. 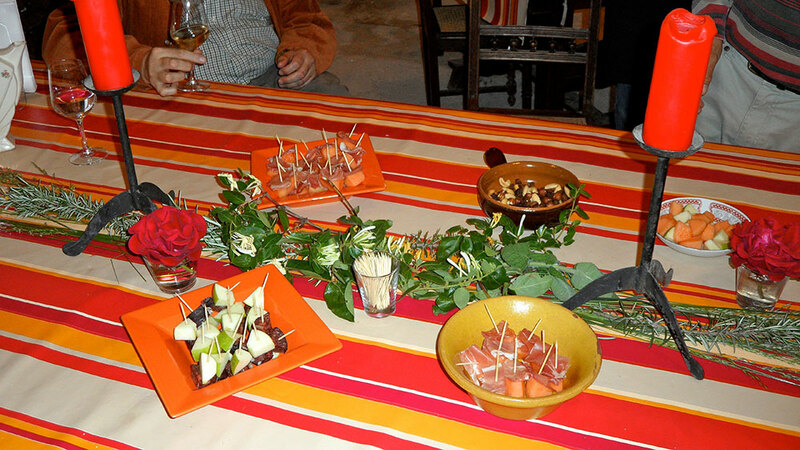 Eva, Thierry’s wife, created a gourmet assortment of appetizers to complement the wine tasting. Especially delicious were the Boudin Noir sausage and apple bites. Superb! The owner and operator of Vin & Company, Alison, said it best. ” The wine should vibrate in your mouth.” We were satiated with the delicate wine, the fresh food and the incredibly friendly and charming people (the best part!) We were definitely vibrating! 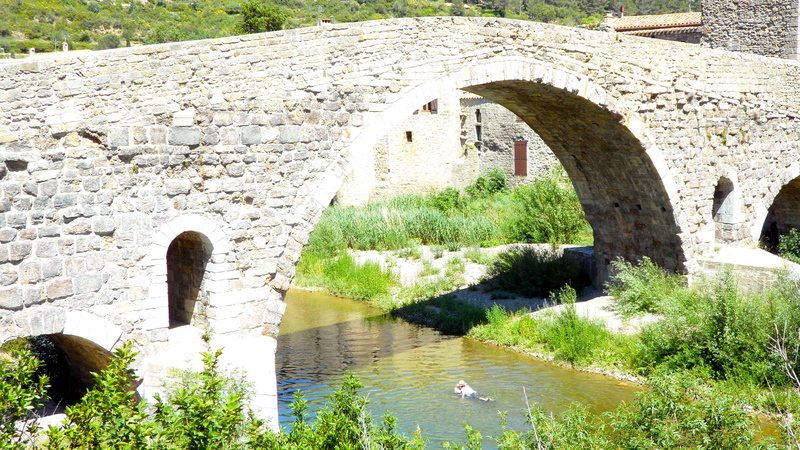 Thank you Jean Luc, especially, for sharing this quaint part of France and the Languedoc with us. You made this experience the highlight of our stay in this delightful region. 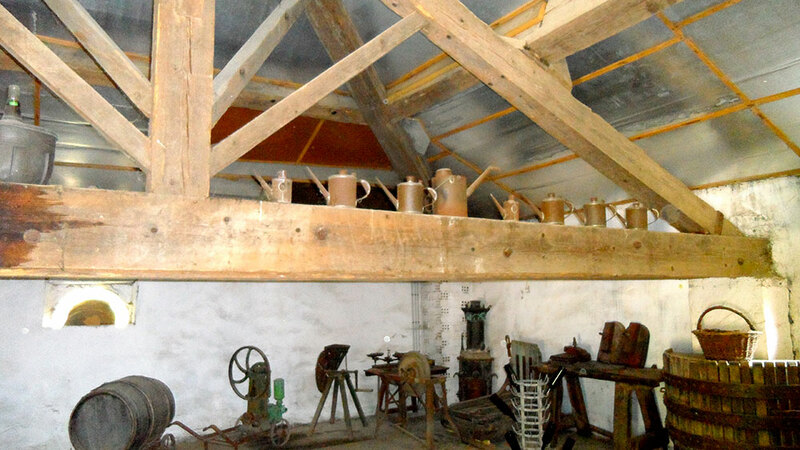 There is so much to drink in here in the land of all things which heighten the senses. Look up and history is staring you in the face. A distant castle, a gargoyle, an ancient door. Look across the countryside and all is bright green and lush dotted with poppies. A waft of jasmine fills the air. 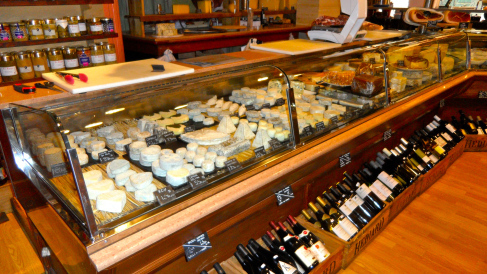 Peer inside a window at pastries, cheese, meats, all so artfully displayed that they lure you inside. This is what I love about France but this trip has been even more delightful because of the special people we have met. 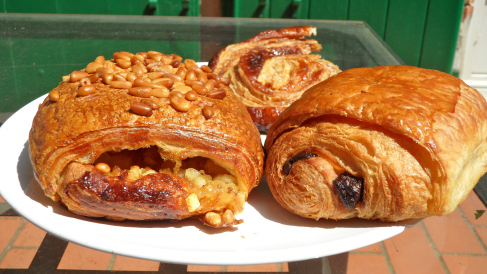 (As I write this, am I munching on a Narbonne, a most delicious pastry filled with perfectly diced apples and seasoned with a hint of anise, topped with a generous sprinkling of pinenuts -wow! The generous spirit and joy of life is evident in the many friends we have made. First there is Lionel, the chef of Le Sixieme Sens, who invited me into his kitchen to learn how to make Bourride, a traditional French soup. While visiting St. Martin, an artist invited us into her garden and then gave us a tour of her eclectic house filled with treasures and antiques. The purveyors in the markets and shops have all gone out of their way to describe a certain cheese or give directions. It is this warmth that draws me in, makes me feel welcome and longing for more. Enjoy these photos of the locals and some of my favorite foods and their shops. 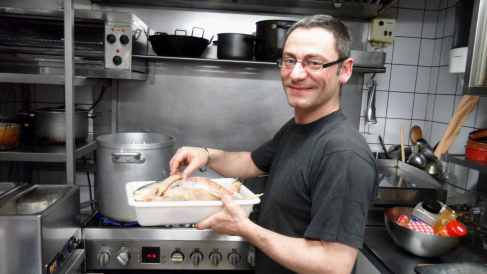 Lionel, chef and owner of Le Sixieme Sens. 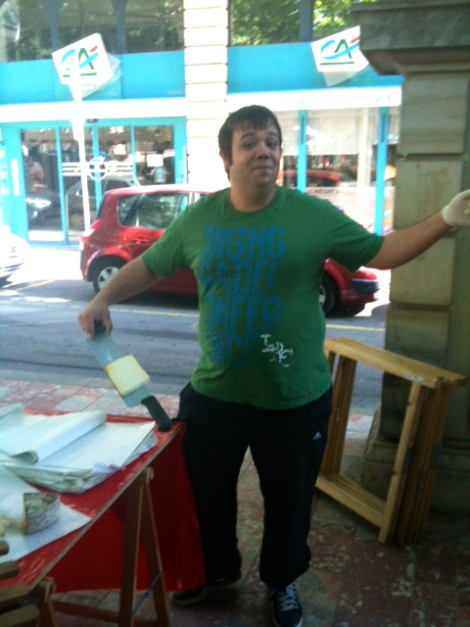 This man gave us so many tastings of his cheese we didn’t need breakfast! 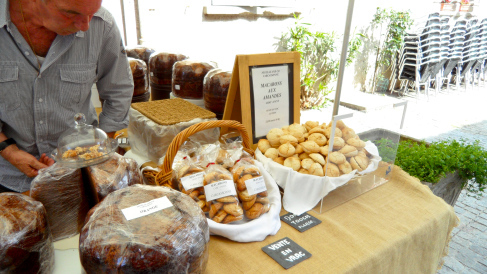 Epicerie Fine La Ferme. They have the BEST chevre on the planet. 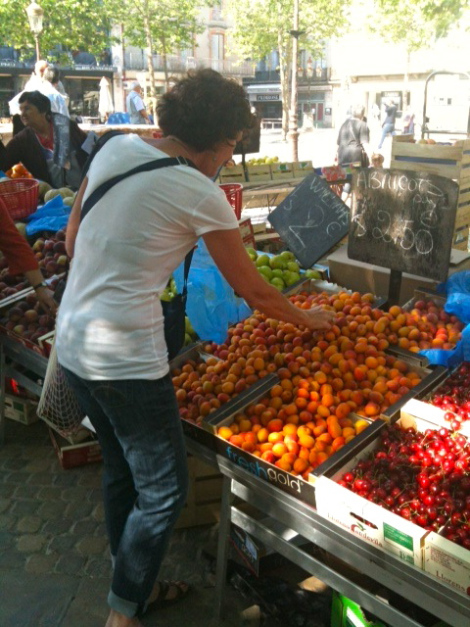 Vibrant cherries and glowing apricots. Macaroon vendor in The Cite. Best macaroons I have ever tasted! Kicking back on our patio after a day of hiking the castle. Today we embark on a private tour of wine country. 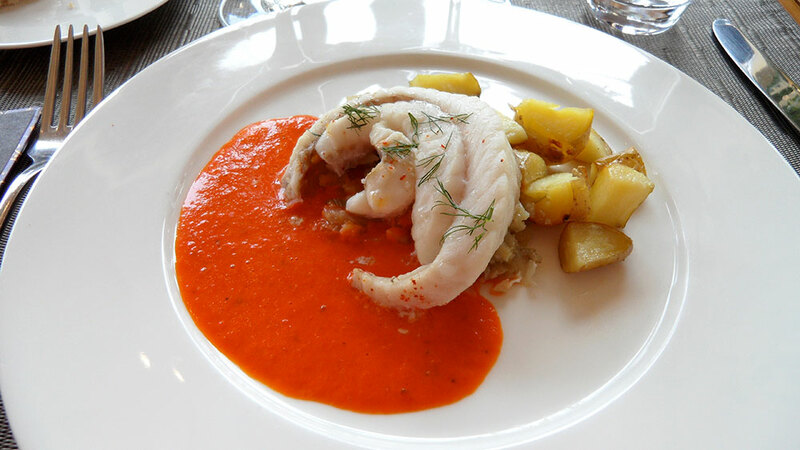 This region, the Languedoc, Roussillon, is a well-kept secret with many of its wines not reaching the states.